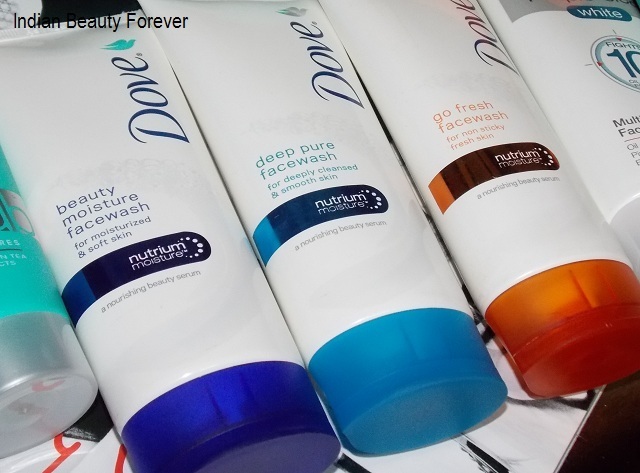 Dove soap has been a staple for my mum since ages and now Dove launched their new face wash range in a couple of other variants. 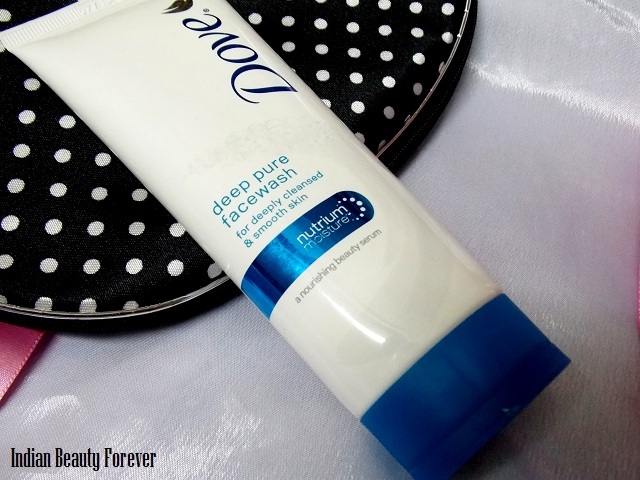 I will review Dove Deep pure face wash for deeply cleansed and smooth skin. By the way they have not named their face washes directly like for dry skin, oily skin etc. It says that it gently cleanses dirt and excess sebum clogged deep within your pores for soft and smooth skin, makes me feel it will be for normal to oily skin and after using it I was right! At present, I am testing a lot of different products and face wash is something that needs a little extra time after the creams and lotions. Price- It is for 165 rupees for this 100gm pack. Ingredients- see on the pack! 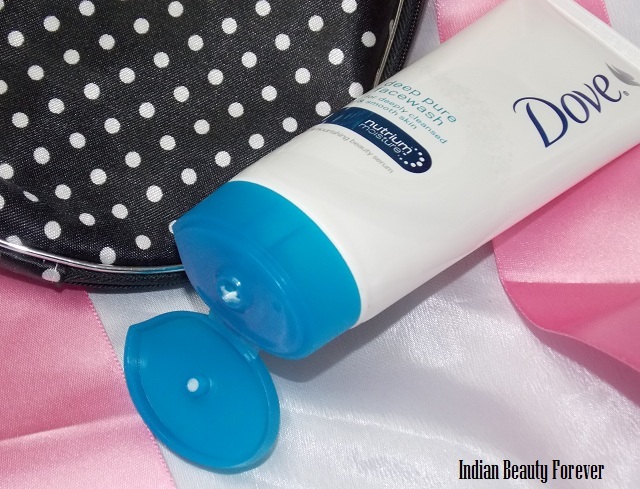 Experience- Out of the three variants, I decided to use this Dove Deep pure face wash for smooth skin first as it claims to clean the skin thoroughly. It comes in a regular tube packaging which makes me give it full points as I always say, such packs are easy to use and easy to carry, not to forget they are hygienic as well especially when you keep such products near the sink, basin or in bathroom. The face wash has a very thick creamy texture unlike the other runny cleansers. As it is thick, I take some of it on my palms and rub it to make it lather, after that use this to clean and massage my face like we normally would do! As it lathers very well, a little quantity is enough, for the first time I took a lot and then realized that I need to cut it down else too much of cleanser can at time dry out the face! It smells fresh and very much like a cucumber, aloe Vera kind of smelling. Once I am done with cleansing, my skin feels okay as in there is no tightness/dryness or greasy. It feels it has been cleaned properly! My skin is squeaky clean and looks fresh. Therefore, it worked well for my oily/ combination skin. I like this product! 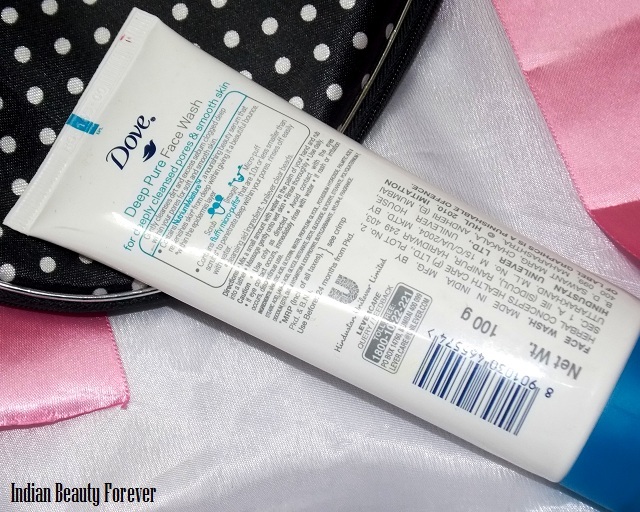 I find this Dove deep pure face wash for smooth skin face wash like an intermediate between cream and foaming face wash as it will not dry out my face like most of the foaming cleanser does and like a creamy cleanser, it keeps the skin hydrated enough. It has glycerin that I am sure does that. 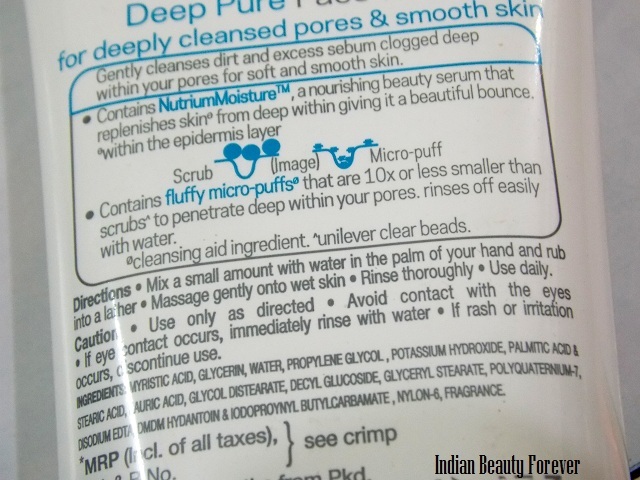 Overall, It’s is a good face wash for those of you who have oily to normal skin types, though I am not sure yet, how it’s going to fare for dry skin since my mum who has dry skin, haven’t tried it but as per my understanding, it can be slightly drying especially in winters for dry skin. 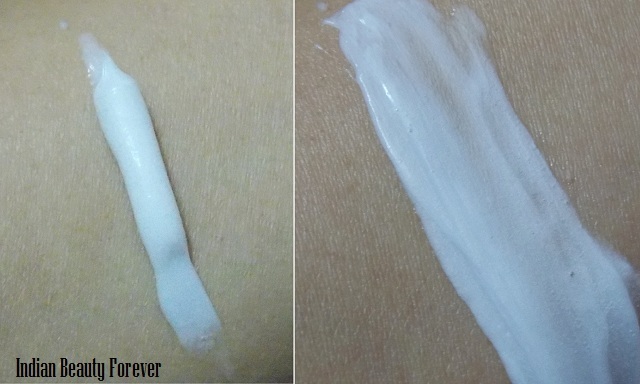 Moreover, for dry skin there is other variant which I will review soon. It may not suit dry skin as there is other variant specialized for their skin type. Can be a bit pricey but keeping in mind it’s a 100 gm pack and a little goes long justifies that. Honestly, I couldn’t find any drawbacks as it does what it is suppose to do. Take- Normal to oily skinned beauties, looking for a decent face wash that does its job well can give it a try. It deep cleans the skin and will not dry out the face like most of the foaming ones do! ***PR sample though the review is honest as always! !